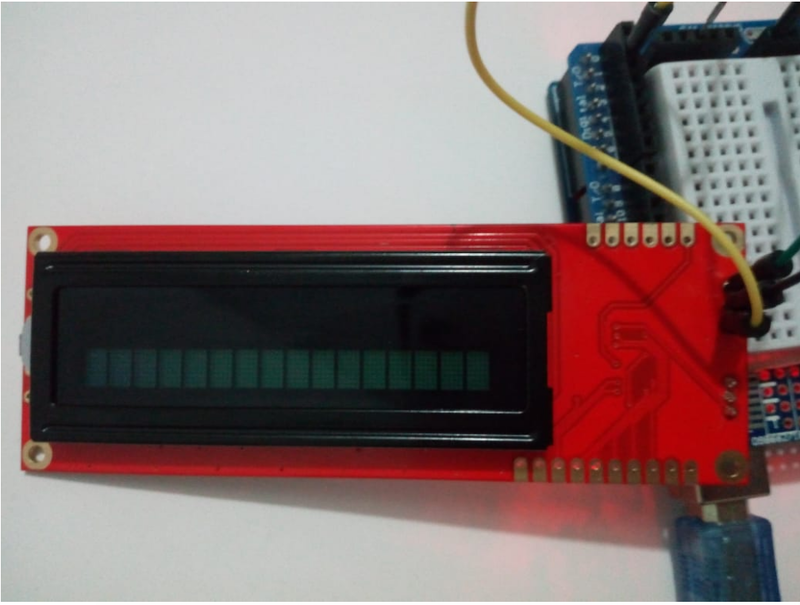 Hi, I don't really know what happened but when I first connected this LCD screen it showed 16 blank squares in the 1st row, and nothing on the 2nd. I am kind of new to these things, but a little bit of reading suggested its random serial inputs, even if I only wired 5V and GND. Also, the (red) backlight is turned off, but sometimes it does turn on when I power up the screen (like 4 or 5 times out of 100s). Did I do something wrong? what can I do to fix it, if possible? PS. Sorry, the image posted is flipped upside down, my bad.